Here at Red Flag Reporting we take the provision of discreet hotline placement very seriously. Key among the concerns we address are race relations within the workplace. With this in mind we set out to research and evaluate proven, ethical methods of improving racial harmony across the board. The workplace is one of the places where racial inequality, or the perception of it, can become a huge obstacle if it is not properly dealt with proactively. Below, we will attempt to interpret some of the ways this issue can be tackled before it develops into a potentially destructive (and certainly upsetting) situation. Racial Harmony is a concept so vital to modern day living that some of us already don’t think about it. In contrast, Singapore has their own holiday for it known as ‘Racial Harmony Day’. This special celebration started after tensions between Singapore and Malay caused rioting in the 1960’s. A new holiday was devised and has been celebrated every year since, to encourage the two opposing sides towards friendship and peace (The Straits Times). Although the movement might take its name from the Singapore holiday it is a concept that is becoming more and more important the world over. It can take work to ensure that racial tensions are not given a chance to thrive in the workplace. As an employer the buck ultimately stops with you, so let’s take stock of how you can deal with these situations before they even begin. And not just awareness – but training, mainly at a managerial level. Your managers need to be aware of how any actions or inequalities they promote – no matter how unintentionally – can be misconstrued. This article from Emerald Insights reinforces the premise of managers being a tool for creating a level playing field in the workplace. To find more about training programs visit the Center for Racial Harmony who can advise on all matters race in the workplace. In the US the problem of an unlevel playing field in the workplace is certainly a point of discussion. When recalling the similar and not all so long-ago race riots of the last century, this becomes obvious. We wanted to look at what the benefits are of having a racially equal and diverse workplace to impress upon our readers the importance of why you need to have these training plans in place. Any number of recent articles will show you what happens employees mistreat members of another “color.” Businesses everywhere are run ragged offering apologies and sacking members of staff who go to far – for example, this report from the Guardian details what two men who were waiting on a friend in a Starbucks store experienced. This was a well-documented case of ‘inadvertent’ racism by members of Starbucks’ staff. Inadvertent racism is a phrase better known as implicit bias; a bias all races must be aware of. Regardless of how the incident began or why – what we are interested in is the negative feelings these men encountered along with the damage that it did to Starbucks’ reputation. In response to the implicit bias (stereotyping a person based on the assumed cultural perspective of your native ideals without even realizing you are doing it, Kirwan Institute) Starbucks spent millions running supposedly thorough training programs to retrain staff at thousands of stores (Everyday Money). Although staff responded well to the training; it was only a few weeks before it happened again (Inc.). Starbucks hit the headlines once more and the training was deemed ineffective. Next? A boycott, public demonstrations and a distinct distrust of a company already questioned for its inability to pay taxes. Although the CEO did announce profits to be unaffected by all this; the closure of 8,000 stores with an estimated daily revenue of $3,750 each (New York Post), combined with the training costs and a $200,000 grant program (The Washington Post) the two gentlemen had them set up – says otherwise. If Starbucks had routinely sanctioned implicit bias training, and effectively promoted a secure hotline for reporting discrimination to begin with, all of this may have been avoided. Racial Harmony training in the workplace has become a modern-day necessity, as proven by the example above. There are a whole host of benefits to managing implicit bias effectively. Before we examine what we can do to better prevent issues arising within your company we want to summarize these benefits to further assure you of the need. Human Resource Advantages: Fewer staff shortages, a greater propensity towards hiring on skill level and an elimination of high turnover results in a better bonded, higher quality team who have better morale and are more responsive to change (University College of London). Better Customer Service: Through a greater appreciation of cultural differences employees are better equipped to deal with customers in a satisfying way that improves the customer experience. Employee diversity also increases, presenting a greater chance your employees will be able to communicate with all customers in a multitude of languages (TELUS International). A Drive in Sales: Both by engaging the ideas of minority staff members and by utilizing these ideas to attract said minority consumers. Science Daily puts companies with greater racial diversity (brought about by alleviation of staffing issues) at nearly 15 times more sales revenue than those that have no awareness or equality programs. Asides from these three main benefits you are also likely to derive a decrease in tribunal costs, preservation of your brand’s reputation, preservation of a loyal (and growing) customer base, a more loyal staff and greater respect all around. So how do you go about ensuring your firm complies with racial awareness? There are a few things you can do to prevent implicit bias or any other kind of racism in your establishment. Obviously we have covered the need for a good training program but this should be standard and there are other measures you can take. The University of Kansas recommends beginning with the recruitment process. Specifically hiring an ethnically diverse staff allows for the greatest levels of tolerance and understanding from the outset. Make sure that you extend this hiring procedure to the management and upper echelons of your firm and be sure to monitor any negative attitudes and tackle them before they arise. 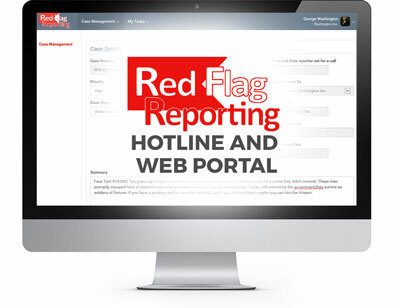 In this instance a hotline similar to what we provide here at Red Flag Reporting is an ideal way to allow any member of staff who feels threatened or discriminated against to speak up anonymously. This way the hotline can pass on issues to your management team without the need for outside intervention. Including everyone at all times is the best way to encourage a mutually respectful workplace. Diversity Resources (Colorado) suggest setting up a diversity calendar that accentuates holidays, festivals and other important dates for all the cultures represented within your workforce. Ensure you have a well-documented racial equality, awareness and diversity policy that is specifically tailored to your firm. This policy document should be included within introduction training and should be referred to often. It should also be displayed in a prominent place so that staff can refresh their memory while in the break room or on the shop floor (Small Business Chronicles). Your management team is the first line of defense your company has against implicit bias. If they are aware of it they can stop it before it breeds and instead promote racial harmony. Additionally, your managers should be well trained in effective communication. Unapproachable managers mean issues do not get recorded and contempt may grow (Harvard Business Review). An available Hotline helps your staff to anonymously report any issues with race relations in the workplace before they even arise. A strong way to promote racial harmony is to allow the employees a safe, secure method of reporting any harassment they receive, or that they witness, in a way that doesn’t harm your firm. These lines are often open 24 hours a day and can be hired for a reasonable fee. Your staff can then report issues which are fed back to you – allowing you to solve the problem discreetly… unlike Starbucks. Newsweek advises that interracial and international collaborations on your firm’s part will enhance understanding and respect between cultures and peoples on your staff. Even small firms can partner projects with people in another country – and all of it results in a more racially harmonious workplace! Racial Harmony – Keep Talking About It! The best way to keep the dream of a harmonious workplace alive is to keep talking about it. By bringing it to the forefront of our mind while we work we slowly change attitudes, one step at a time. Be part of the positive change and do something about it today! The power is in your hands.